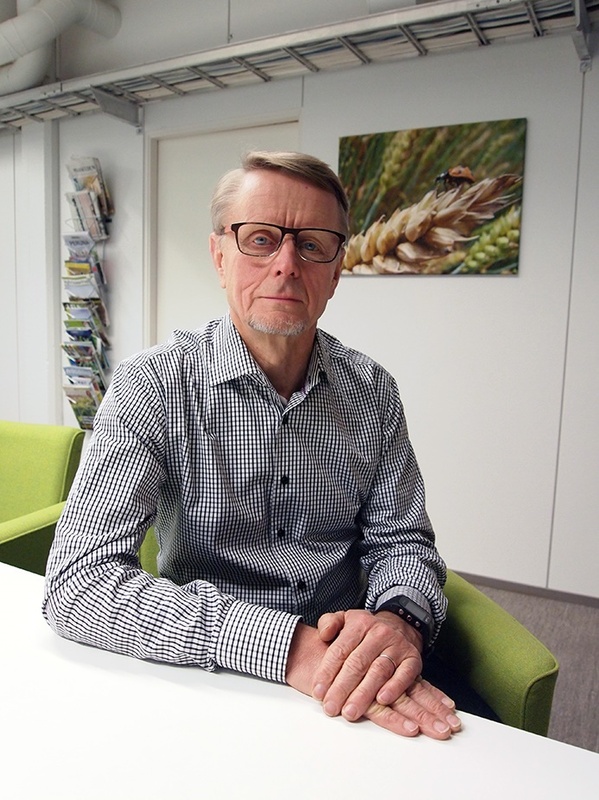 Viking Malt has had the privilege of excellent plant breeding co-operation with Boreal Plant Breeding and specially with Reino Aikasalo. This work, which has lasted for decades, has been team work at its best resulting in specially designed barley varieties for the needs of maltsters and breweries. We asked Reino to tell more about his long career with the mysteries of plant breeding and he gave us a good perspective to the development of his work field. Reino, could you give an overlook of what the barley breeding in general means and how it is done? The breeding of malting barley, as of any other cereal, is a long-term activity including a lot of challenges. Developing a new variety from a cross to The National Variety List takes, even with the utilization of modern biotechnology, at least 7 years. In addition, a few years are required for seed multiplication, and in case of malting barley, the variety must deserve the official malting barley status (granted by The Finnish Malting Barley Committee) before it can be commercially used by the maltster. Which are the hardest challenges? In the northern latitudes, e.g. 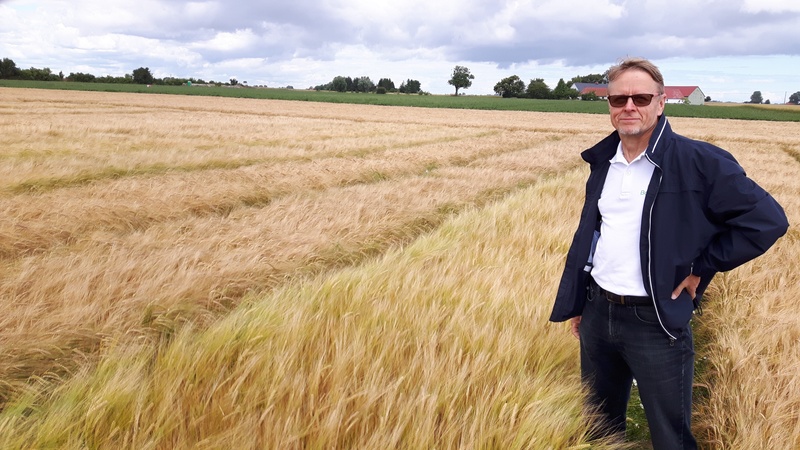 in Finland, malting barley variety must have good adaptation to long day length plus to a fast and short growing season. If not adapted, problems may arise from both agronomic and malting quality point of view. Malting quality is a really complex trait including numerous quality attributes and biochemical phenomena. The real challenge is to dig out even the smallest genetic differences between genotypes (breeding lines) within the breeding material – taking into consideration also environmental effects on quality. Breeder’s objective is to analyze malting quality already in early generations, soon after crosses when he has really high number of samples to be analyzed, in order to exploit the wide genetic variation efficiently. Thanks to new small scale analyzing methods and biotech this is much easier than what was the case some decades ago. And last but not least, all important, both agronomic and innumerable quality traits must be fixed into one variety – and in a reasonably short time. It takes close to 10 years to see the results of your efforts in practical farming. You have to be curious to new ideas and innovations in order to improve the effectiveness and competitiveness of the breeding program. You have to update breeding targets quite frequently by discussing with the customers through the whole chain, farmers – maltsters – brewers. A breeder has to know and study also theories and to deal with a lot of details during the breeding process but after all it is the concreteness, i.e. the final aim, the new good variety, which is boosting a breeder to work hard to achieve the aim. The main challenge is to develop malting barley varieties with numerous good processing quality traits not losing too much in agronomics (yield). Today breeder’s work differs a lot compared to time some decades ago. Today it is not only the single breeder who has all the knowledge in his mind. Instead, breeding is a team work of several professionals, each of them contributing the breeding program with their own expertise (genetics, biotech, disease resistance, statistics etc.). Especially the implementation of biotech during the last 10-20 years has accelerated the breeding process considerably. And as the complete genome of barley has been sequenced now it offers plant breeding really new perspectives in future. The breeder responsible for the whole program has to be like a conductor in front of the orchestra aiming to run the program as efficiently as possible. A year consists of several busy periods. In winter time the breeder has to validate and analyze statistically massive data flow, prepare crossing plans, make selections and decisions as well as new trial plans in time. During the growing season the breeder has to use a lot of time in the trial fields sown at different locations and even in different countries, in order to be able to collect as much information as possible from the trials. Today all observations are collected using handheld computers wherefrom the data are easy to transfer to breeding data bases – ready for further statistical analysis and breeder’s selection. So, totally different procedure than e.g. 20 years ago when all observations were still handwritten to notebooks. Other breeder’s duties are to monitor the breeding materials in green house around a year as well as to keep an eye on quality analysis in the lab. According to my mind, a breeder also has to work in the network of researchers and colleagues, industrial companies processing the crop, seed companies and farmers. This is not only necessary but has also increased the purposefulness of my work. All of them can give a breeder useful information which he can use in redefining the breeding aims. In this context I want to emphasize the long and very fruitful, my whole career lasting co-operation with Viking Malt. You were one of Viking Malt’s contacts in developing the Pekka barleys. How would you describe this project? The start to develop new high enzyme barleys goes back to the turn of 1980’s and 1990’s when new alleles producing special quality traits were searched and discovered from exotic germplasm. Simultaneously, Viking Malt became interested in getting new varieties producing raw material with some totally new traits which the current varieties at that time on the market didn’t express. The development of these barleys was a real example of fruitful co-operation with scientists, breeders, and a malting company, aiming to develop commercial varieties and to give additional value for the maltster. The development was an ambitious project taking totally ca. 20 years, although the final variety development itself from the last crosses to The National List took only 7 years. This was possible only by strictly time-scheduled process where greenhouse, contra season nurseries and innumerable quality analysis (incl. biotech) were utilized. Novel traits were found from exotic germplasm with poor agronomic and grain quality traits. A lot of work had to be done in order to fix only the desired novel quality traits to genotypes with good adaptation to Finnish conditions and farming practices – and to avoid the undesired traits. After ambitious and uncompromising work the desirable quality and agronomic targets were achieved. Varieties are agronomically comparable to current malting barley varieties on the market. The new varieties offer maltster new possibilities to develop products with additional value. You have decided to retire after a long career. Please, tell a bit more about yourself. It has been a pleasure to serve Finnish plant breeding for several decades. During my career I have been responsible for the breeding of both 6-row and 2-row varieties for different end-users’ needs, during the last decade together with my successor colleagues. Target area has been primarily Finland and increasingly also neighboring countries. The first period of my career I was employed by a big commercial, co-operative company conducting also plant breeding at its own farm close to Helsinki. Since the merger of this commercial plant breeding and the state funded plant breeding to form the current organisation, Boreal Plant Breeding Ltd. in the early 1990’s, I have been employed by this. Several contacts, both with organisations and professionals in Finland and abroad have given an outlook and widened my perspective on plant breeding itself and plant breeding as a business. Although my work has taken a lot of time, I have experienced it really interesting and rewarding. I’m grateful to my family who have ‘kept me on the right track’ and from time to time helped to break away from breeder’s deep thoughts. As counterbalance to the work, some of my hobbies are spending time with my family, some gardening, different sports and some travelling. Thank you Reino! We wish you all the best and hope you enjoy the well earned free time after your retirement!